When Did We Lose Ourselves? 1961. 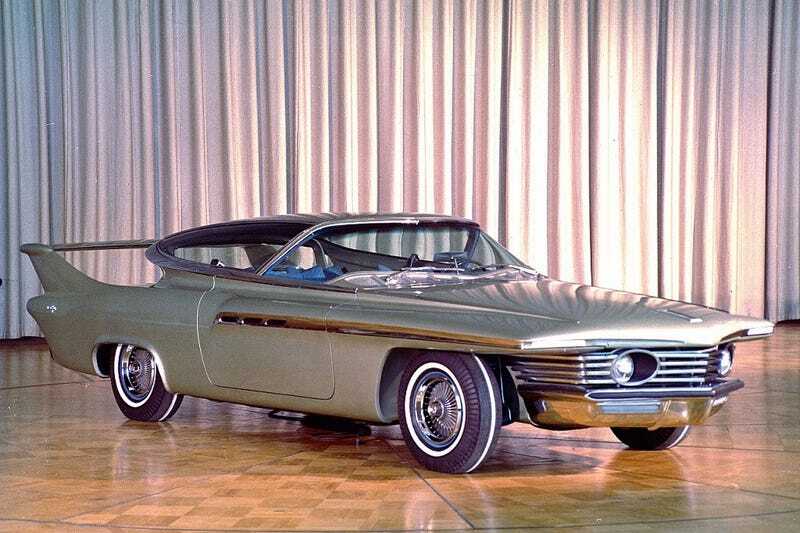 This Chrysler Turboflite concept came about in an era where America was enthralled with space flight. Innovations such as separate retractable high beams, wide groove tires, and a spoiler that doubles as an air resistance brake. Oh and the cockpit can open up a bit... just because they can. That’s what America used to be about. Doing things because we can. Doing things because why the f*ck not? Doing things that pushed the boundaries of what was possible. We were the best we could be. It’s what lead to space exploration in the first place. Well that and competition with the Russians. Maybe that’s the issue at heart. We’ve stopped competing. Grade schools give out medals for participation to kids who fail. Failure is ok now. Failure is normal and even celebrated. We’ve stopped focusing on what can be done and what’s the best we can do. Instead we cut corners and cost at every chance we see. We are a country that has outsourced everything we can to lower production expenses. Thus driving American companies out of the market. The few that remain have two choices: higher cost or compromise quality. While a select few refuse to compromise quality; many, many compromise. Many long trusted companies now put out complete and total sh*t.
So keep compromising America. Keep playing it safe. Keep being mediocre.